Three weeks ago, folks on the new Titan carnival ride at the Houston Livestock Show and Rodeo got the scare of their lives. Riders were stuck in the air, seventeen stories high, for eight agonizing minutes. The Rodeo told the media there was nothing to see here: no mechanical issues, no repairs needed. No offense, but how do we know that? How can a ride get stuck with folks dangling in the air and nothing be wrong? Here’s the problem. In Houston, when the sacred cow speaks, lots of folks are afraid to question it. We checked. The Titan ride that messed up this year was operated by Ray Cammack Shows, the Arizona carnival operator that’s been doing business with the Rodeo for a very long time – even after someone got killed on one of their rides in 2011. The company has run the popular carnival since 1994. A federal investigative report into the death of Brian Greenhouse, cited by the Houston Chronicle, claimed the company misrepresented the portable ride’s safety records and failed to document or release previously reported malfunctions. But that didn’t end the business deal with the Rodeo. In 2015, a KPRC Investigative Report claimed the Rodeo had 11 serious injuries in the four years following that death. In 2012, the television station reported a three-year-old girl was thrown from the Techno jump ride. 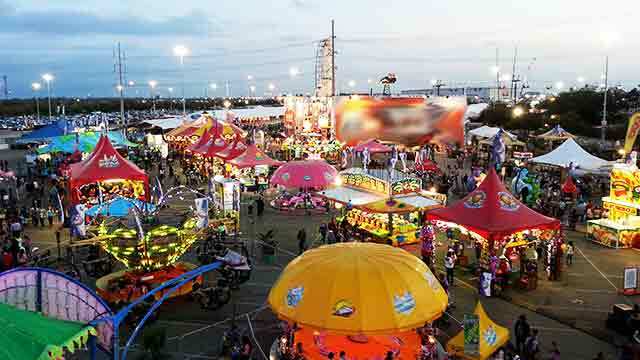 That hasn’t stopped the Rodeo folks from doing more business with Ray Cammack Shows, but as we looked at this year’s carnival trouble, we found records showing the Rodeo is about to make a decision on a new five-year contract for the carnival operations. It’s not just a question of safety. There’s also a question about the money going to the kids. Documents on the Rodeo website claim the bidders have to tell the Rodeo how much of their take they are willing to share with the Rodeo, and, if you believe the hype, scholarships for kids. That is what we want too. The Houston Livestock Show and Rodeo has been fighting our requests to see financial records about international investments and money being made by the Rodeo board members who have a conflict of interest. “We asked the Rodeo on Monday afternoon to give us records about accidents or mishaps during the last year’s rodeo because we think a public charity should be totally transparent,” says Dolcefino. Guess who is wasting more charity money?